For a luxurious brunch dish, this takes some beating. 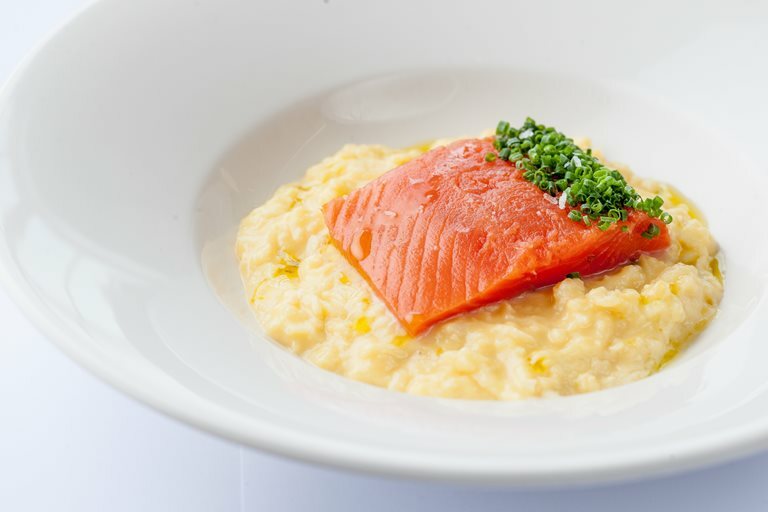 Alaska salmon is cured in a citrus zest mix, lightly coloured in a pan and served on a bed of scrambled duck eggs. For an extra touch of luxury, chef Dominic Chapman suggests serving with Exmoor caviar. This salmon with scrambled eggs recipe would also work well with home-smoked salmon.